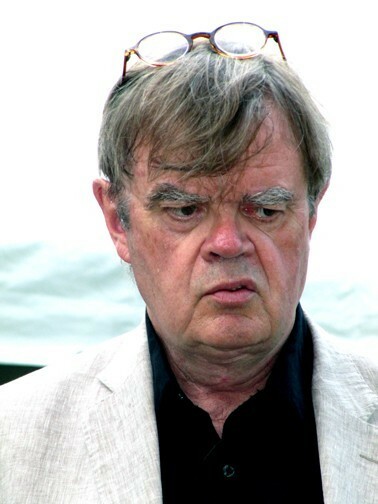 Garrison Keillor nailed it a long time ago â€œWelcome to Lake Wobegon, where all the women are strong, all the men are good-looking, and all the children are above average.â€ Giuliano photo. "perfect" "poignant writing" "powerful" "best original play I've ever seen"
"a lot of heart...amazing" "incredible acting"
These were the pull out quotes in a weekly email blast sent to subscribers of Williamstown Theatre Festival. The marketing/ PR blast included a single quote from the critic Jeffrey Borak. Borak, who can be sharp and acerbic viewed this new play more favorably than did I, link to review, or Peter Bergman of Berkshire Bright Focus/ The Advocate. Link to Bergman review. Our colleague Larry Murray, of Berkshire On Stage, may not have liked the new play by Bess Wohl any more than we did. Link to Murray’s review. He went out of his way, however, to try to probe deeply into the work and to understand the rationale of why it was among the too few new works included in the program of first year artistic director, Jenny Gersten. As has been the case all season, with just two more productions on tap, this new play at WTF has had a tough reception. But who listens to critics? Compared to viral online commentary on Facebook, Twitter and social networking outlets, what is their worth? During a recent informal caucus of critics, seated around a table before a show at Berkshire Theatre Festival, there seemed to be agreement that theatres are seeking ways to contain and marginalize reviews and critics. Maybe we were just being paranoid. Like when undergraduates told me that they deserved better grades. Then slammed me in evaluations. Is the tsunami of dumbing down and grade inflation now washing over theatre and critical thinking? In this new paradigm, Tweets weigh more than critiques. Particularly when reviews by established print and on line critics are tough, insightful, and well reasoned. Who cares what a professional who has decades of experiences and a lifetime of study of the craft might think? When compared to quotes like "perfect," "poignant writing," "powerful," "best original play I've ever seen," "a lot of heart...amazing," "incredible acting." Consider that the source of these quotes are unidentified. Perhaps it might be more honest to say “Perfect,” gushed a WTF intern. “Poignant writing,” stammered a single mother on welfare from North Adams. “Best original play I’ve ever seen.” Hmm. That begs the question of just how many plays that individual has experienced. Is this play being compared to the five others? “A lot of heart…amazing,” said Joe the butcher from Big Y. “Incredible acting,” stated a pensioner from Williamstown. Indeed the internet has leveled the playing field. I am because I say I am. Apparently we were onto something and hit a nerve with this editorial. The New York Times has taken on this subject. Their focus is not theatre reviews but the manner in which on line consumer reviews for travel sites, Amazon books and other sources of man on the street, objective opinion have been saturated with five star raves. It is the on line equivalent of standing ovations for shows that are at best average or even mediocre. Significantly the Times article even ends with the same reference to Garrison Keillor that is quoted above. ""Chuck" is very brave not to use his/her name or institutional connection (wonder what that is?). Unattributed comments suggest fakery, falsehoods and stealth. If a theatre company puts on a public show and expects to sell tickets, it has to accept criticism if the production is not very good or even bad. Critics are here to correct homework and grade the theatre's public test. If the test score for the theatre company is low, the producers, directors and pr/marketing folks should learn from their failings not fight over the poor grade. The real problem is theatrical work that is subpar, not the critics who do not think everything is wonderful. This harkens back to the dark days of WTF Artistic Director Roger Rees whose theatrically undistinguished tenure at WTF resulted in the institution losing a great number of subscribers. Nicholas Martin resurrected WTF not by insulting the critics but by embacing what they had to say. However, a sense of history is not one of WTF's strong suits. Perhaps a model for Williamstown Theatre Festival is the A.R.T. Diane Poulus at the American Repertory Theatre has developed a strong program that works with the critical community and consistently underscores quality and creativity. Charles Giuliano is a professional member of the American Theatre Critics Association. This is a distinguished organization of serious theatre critics. Denigrating Mr. Giuliano and BFA (a digital arts magazine read by 50 to 60,000 readers a month) because he wrote negatively about a rather amateurish pr ploy is both childish and extremely unprofessional. Anonymous crowd sourcing and attributions are only a bit of bad set design, not a whole theatre production. However, this keeps the quality bar at an extremely low level. Sadly, everyone expects much, much more from WTF. " "Critics are not obsolete, bloggers are. Critics - real journalists who have editorial supervision - are a useful part of the creative process as opposed to bloggers who can just write whatever crazy, misspelled, grammar-butchering rantings they want simply because they have the free time to maintain a shoddy looking website. Real critics also understand that their reviews are simply THEIR INDIVIDUAL OPINION, an opinion influenced by a lifetime's worth of bias and the dodgy chicken salad sandwich they had for lunch. They should be encouraging people to go and form their own opinions of a performance. The fact that you and your bitter little cabal of self-anointed arbiters seem hell-bent on getting folks to NOT go and see performances that you didn't like is hostile, arrogant, and insulting." "Critics are not 'paranoid 'in feeling 'marginalized' when print journalism no longer prints reviews or keeps a staff of critics. A dumbed-down populace doesn't miss discernment."